Now draw the contour of the bridge and wings of the nose. The width of the wings is equal to half the perpendicular line. Remember that everything must be proportional. Noses come in different shapes and sizes. 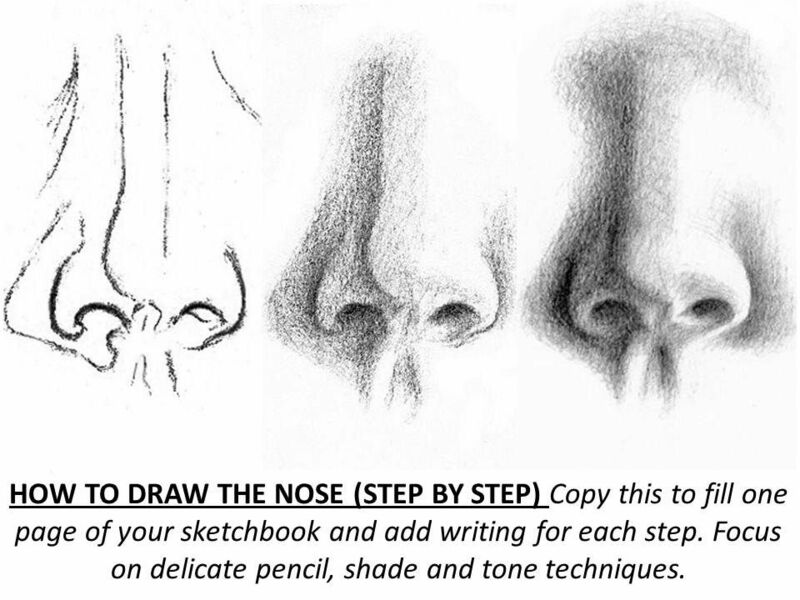 So there are no exact tips on how to draw a girl’s nose or a nose of a child. 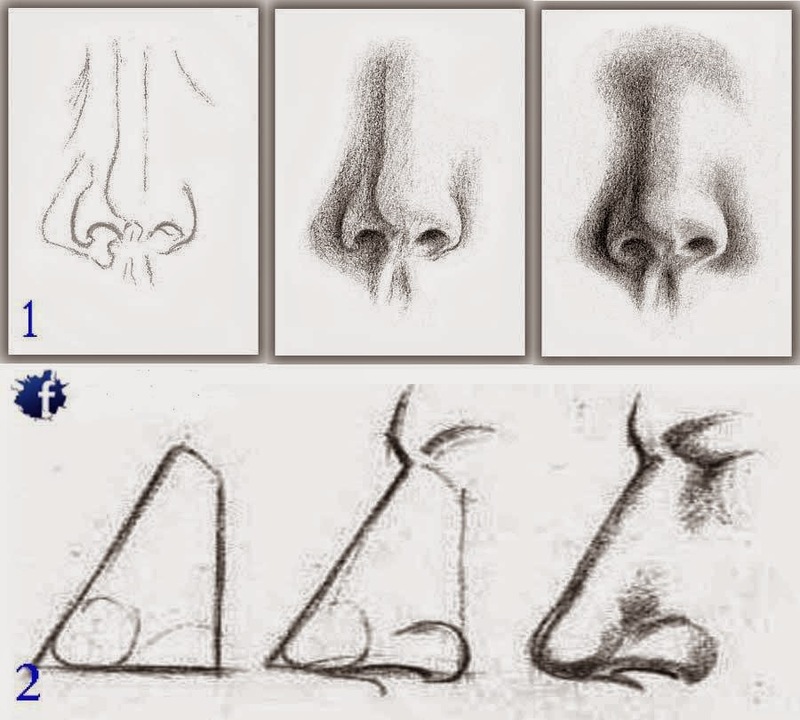 For now, you can simply draw a nose that is often portrayed in educational pictures. I hope you don’t need any explanation of how to draw these two lines (see my example). 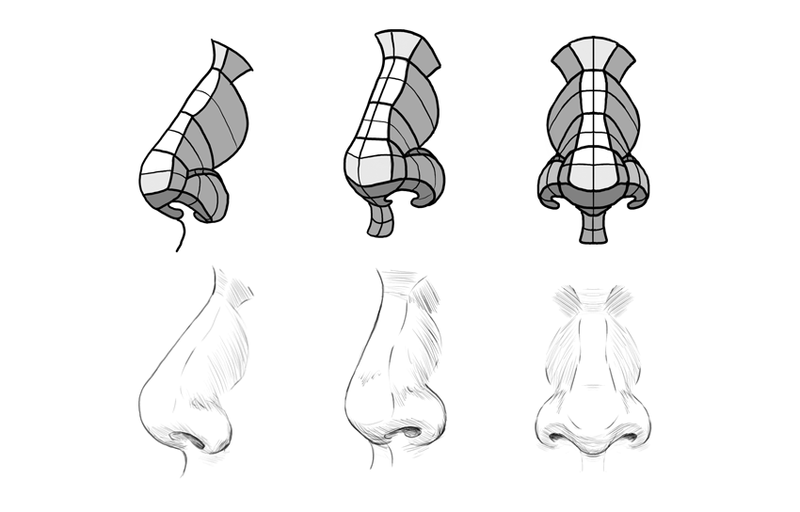 Evaluate your drawing to make sure the nose doesn’t look too small or too big. The nose and the eyes are by far the most important parts of a portrait. You can always easily correct the chin and lips, but if the eyes or nose are poorly drawn, your drawing of a nose won’t look good. 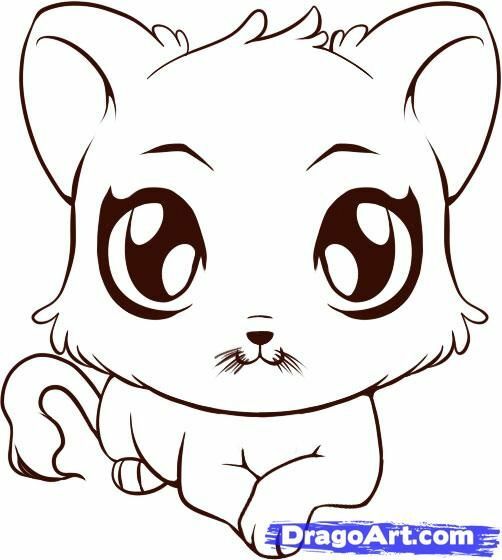 It is much easier to draw a nose with such markings. Now you can see that it’s not hard to draw a nose from this point on. Just draw a streamlined shape of the wings. Mark two lines from the bridge of the nose and draw the tip. We are concerned with lighting and shades in this and final steps. 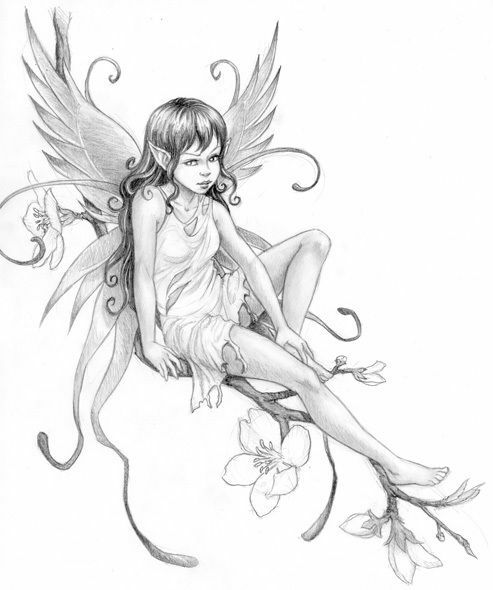 Create some shadows using soft pencil, which will give volume to your drawing, making the nose look more realistic. 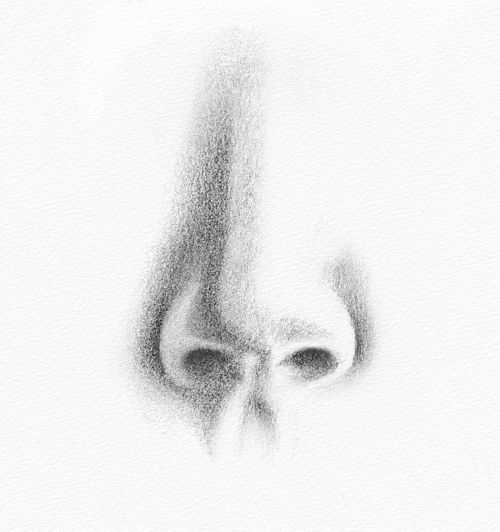 Now just erase extra lines and you’ll get a picture of a classic nose. 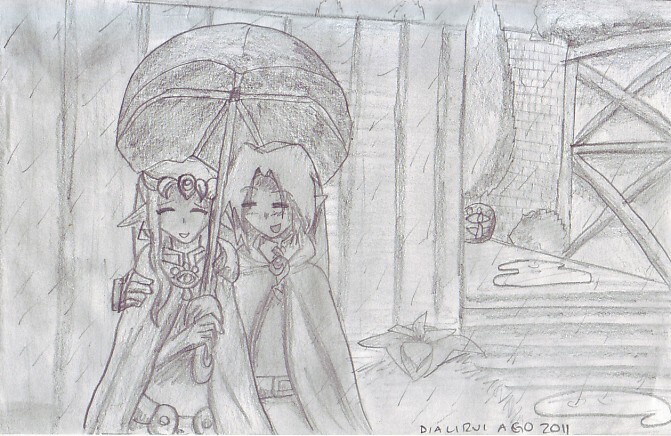 You can add some details to your drawing so far. Be prepared to make corrections. 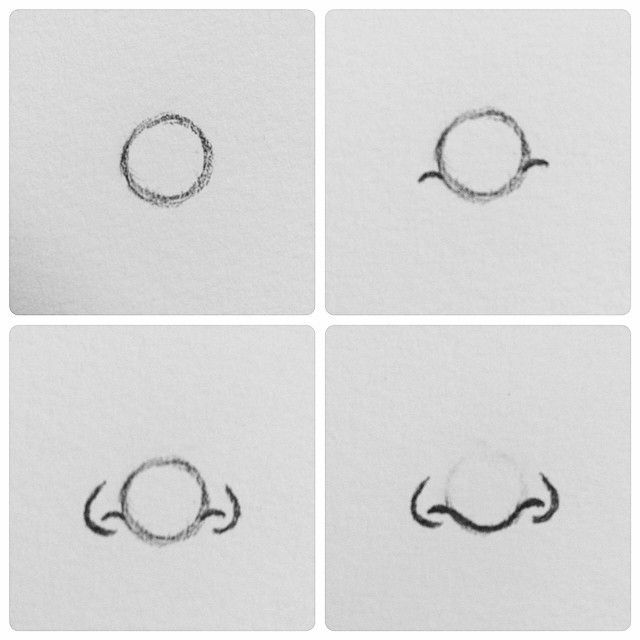 While it’s not that difficult to draw a nose, a small imperfection can make it appear too bulbous or too thin.